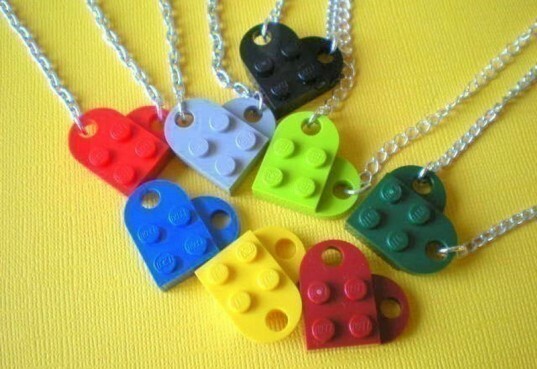 With Valentine’s Day just around the corner, we couldn’t help but be enamored by these adorable heart-shaped pendants upcycled from LEGO blocks. An inspired idea by crafty mom of three Michelle of MichellesCharmWorld, these little charms are the perfect way to show your friends, family and especially your little ones how much you love them! With Valentine's Day just around the corner, we couldn't help but be enamored by these adorable heart-shaped pendants upcycled from LEGO blocks. An inspired idea by crafty mom of three Michelle of MichellesCharmWorld, these little charms are the perfect way to show your friends, family and especially your little ones how much you love them!